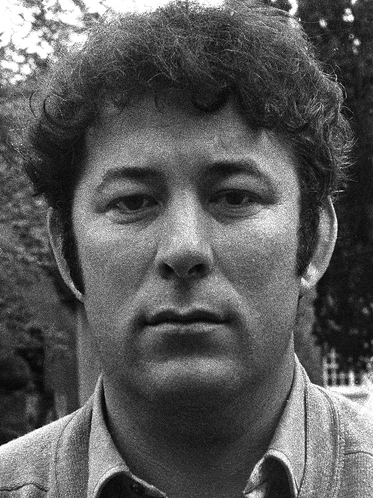 Abstract: When we think of Seamus Heaney we tend to turn to the landscapes of his native Co. Derry, to the anxious negotiations of identity and national affiliation articulated via his poetry, to his attempts to situate the Northern Ireland ‘Troubles’ within a mythological continuum that stretches back to Iron Age times. While it is true that the ‘matter’ of Ireland has remained at or near the centre of his poetry for over forty years, other locations have in fact figured prominently and persistently in his work. One of these locations is London; more specifically, the London Underground. In some respects it is not surprising that the Underground has featured in the work of a poet who has constantly been drawn to what lies beneath the visible ground, has been drawn to the land as a repository of objects, histories, and cultural memories. Heaney is also a poet who has regularly sensed analogies between contemporary local concerns and universal patterns – most obviously in his frequent recourse to classical myth. It is the argument of this paper that Heaney’s poems of the Underground extend these propensities to look down into land and to draw upon myth. But more importantly I argue that the poems, especially ‘District and Circle’ published in the immediate aftermath of the July 2005 attacks on the London Transport system, forge what I term a poetics of tube travel fully cognizant of the protocols, the anxieties, and the understated but definably present sense of commonality (in fact, an ethics of travel) foregrounded in the era of perceived terrorist threat and counter-terrorist measures. In staging an absolutely quotidian journey on the Underground, Heaney invokes a tremendously vivid range of memories, sensations, histories, and mythological echoes, to reveal what is at stake in any journey by tube beneath the capital. Heaney’s ‘actual’ journey on the District and Circle lines are inevitably coloured by the innumerable journeys his poems and translation have made featured as they have been (several times in fact) on the Poems on the Underground posters. This sense of literary circulation as complement to his actual journeying is something I will also consider in this paper. Biography: Tom Herron is lecturer in English and Irish Literature at Leeds Metropolitan University. Author of After Bloody Sunday: representation, ethic, justice (Cork UP, 2007) and editor of Harrowing of the Heart: the poetry of Bloody Sunday (Guildhall Press, 2008) and the new edition of Louis MacNeice’s I Crossed the Minch (Polygon, 2007), he has recently completed an edited collection of critical essays for Bloomsbury entitled Irish Writing London (2012). He has written numerous articles on Irish literature and culture and is currently working on a monograph exploring the place of poetry within the public sphere.